Approximately half of the one million people with traumatic brain injuries who receive a head CT scan annually in U.S. emergency departments are uncooperative. This often leads to inconsistently aligned head CT scans that make it difficult for the radiologist to interpret and quantify what they see. Grasp the impact of inconsistently aligned head CT scans on their clinical practice. 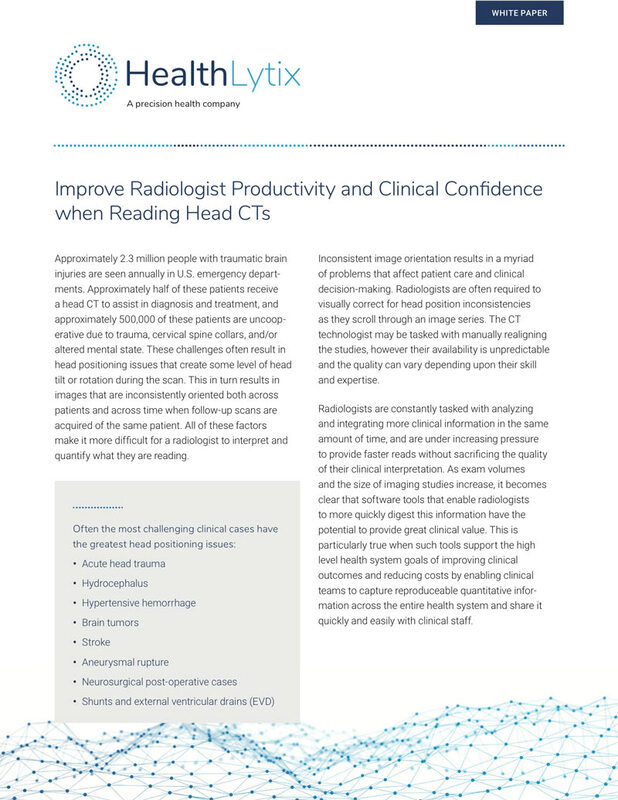 Increase the productivity and clinical confidence of their radiologists. Understand how machine learning can enhance the quality and consistency of automatically aligned head CT studies. Please submit the following information to download our white paper.